Home » Health » Diabetes in San Pedro: What is it, are you at risk, and what can you do? Type 2 diabetes is an illness that stops the body from using insulin effectively. This causes a person’s blood sugars to rise high above the healthy levels and leads to many serious health problems such as heart attacks or strokes, blindness, kidney dysfunction and even loosing a limb such as the leg or foot. Belize, and especially San Pedro, has seen an increase in the rate of diabetes, as well as risk factors such as obesity. Type 2 diabetes is almost completely preventable. You can protect yourself and your family from developing the illness through both diet and physical activity. Diets that are high in processed sugars, such as soft drink or candy, simple carbohydrates- such as white rice and breads, or include high levels of alcohol consumption are at serious risk of causing diabetes within the body. A balanced diet is key in preventing the illness. It is highly recommended all meals include a lean source of protein such as fish or chicken, one serving (the size of your fist) of rice, beans or breads, and a large serving (half of your plate) of fresh or cooked vegetables. This makes sure you are maintaining good blood sugar levels as well as getting good sources of important minerals, vitamins and nutrients. Diabetes can be diagnosed very quickly through blood sugar testing. Free tests are being given throughout San Pedro by volunteers from Projects Abroad, an international group who are focused on improving public health among Belizeans. Mobile clinics have been set up in DFC, San Mateo and Central Park with many community members having already had their blood sugar levels checked. The mobile clinics operate on Tuesdays in DFC (La Divina Providencia), Thursdays in San Mateo and Friday at Central Park. For peace of mind, as well as information regarding diabetes and its prevention and treatment please come and bring your family members to get tested completely free of charge. The tests are only a couple of minutes and done under the watchful eye of the registered nurse in charge. • If you drink a lot of soft drink or juice throughout the day swap one drink for a glass of water. This will also be saving you .50c per drink too! • If you drink regularly try reducing the amounts per week or try swapping high sugar drinks like cocktails and rum for vodka and sodas or whisky instead. • Aim to have only one source of processed sugar (such as a chocolate bar) per day. • Aim to drink one gallon of water a day. • Ensure you are including a lean protein such as chicken or fish with each meal to keep you full for longer and release blood sugars slowly. • Try to add an extra vegetable to every meal. 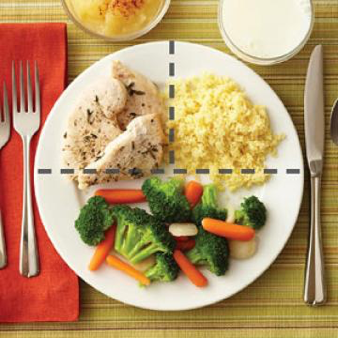 • Choose only one carbohydrate (such as rice, beans or tortillas) for each meal instead of all of them.